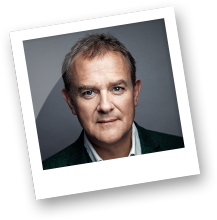 Of course an actor like Hugh Bonneville would be captivated by the drama of the last week of Jesus’ life, with his triumphant entrance into Jerusalem, his challenging of the priests in the temple, his betrayal by Judas and his sentencing to crucifixion at the hands of a mob. 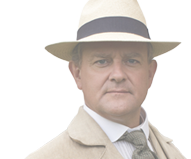 What will surprise many is that Bonneville, 54, whose biggest role to date has been as Lord Grantham in Downton Abbey, has a theology degree from Cambridge University, where he was taught Christian history by Rowan Williams, formerly the archbishop of Canterbury, the head of the Church of England. 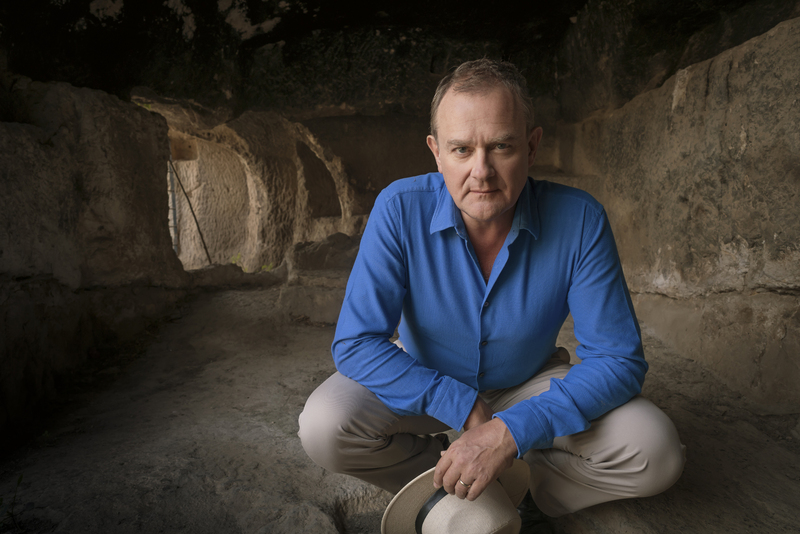 After Cambridge, Bonneville went on to drama school, but last year he packed a suitcase full of his old Cambridge textbooks and headed for Jerusalem to research and retrace the last tumultuous days of of Jesus’ life. The result is a new hourlong documentary, Jesus: Countdown to Calvary, which will air on most public television stations before Easter. Bonneville does not examine the merits or failings of Christianity. He does not get into question of faith or supernatural belief or the divinity of Jesus. Instead, he and the documentary’s makers — Raidió Teilifís Éireann, ARTE and American Public Television — look at the historical, economic and sociological factors that contributed to making Jerusalem a powder keg in the days before Jesus’ crucifixion. Bonneville sat down with Religion News Service to talk about the documentary and the events leading up to Easter Sunday. Q: How did you come to host this documentary look at the final days of Jesus? A: It was quite simply that the religion unit at RTE got in touch and said, look, I know you did theology — is this an area you would like to have a look at again? And I said sure. They knew the synoptic Gospels (the New Testament books of Matthew, Mark and Luke, which tell different versions of the same events) were something I had been interested in and the road to Calvary comes up over and over in them. The synoptic Gospels are something I have a detective forensic interest in. But, as I said in the documentary, I haven’t touched those books in 35 years. Q: The film is decidedly secular in its approach. Why? A: Let me put it this way. I went to university as an atheist and I came out agnostic. I have a healthy respect for all religions, but being outside the leap of faith myself, I found historical objectivity a better methodology for me. I had fantastic tutors at Cambridge — Rowan Williams taught me early church history. They wear their faith and their scholarship with great balance. But I have always found myself standing back, not in an effort to deride belief, but because I just don’t have that. That is why I was very keen on this project to stop at the cross, to say Jesus wasn’t a Christian — he was a Jew. And from what I can tell he wanted to be the best Jew he could be and that is really at the heart of what led to a potential riot in Jerusalem that could have gotten out of hand. I think that had I gone into the program merely wanting to endorse or reaffirm my own religious position that would have been a different angle. I hope to make the program more accessible to more people and that more people will understand this story, be they atheists or Christians or Jews or whatever. That is really a long way of saying I found it a more engaging way to tell the story and make it more accessible by not having a Christian predisposition. Q: What do you think is the overarching message of the last five days of Jesus’ life? A: What really struck me when I was in Jerusalem was really understanding, in a way I had not before, things in the Gospels like Jesus “went up to Jerusalem.” When you are standing on the road from Jericho to Jerusalem, you see it is on an incline. Looking across the Mount of Olives (where Jesus and his disciples are supposed to have slept during Holy Week), I understood for the first time that these are real stories and real places. They may be interpreted differently, but they are based on fact. But what really came to me was the size of Jerusalem. In the last week of Jesus’ life 10 times the population of Jerusalem was suddenly sprawling over the city and you realize what a tinderbox it must have been. And I think one thing I took away was the really overwhelming pressure on the different political forces in Jerusalem at that time — the flashpoint of the mob and the way crowds can turn quickly. And the understanding that it was the Romans who killed Jesus, not the Jews. That’s not a very succinct answer, but what I would like people to take away is an understanding of the political forces at work when a maverick preacher like Jesus got out of line. Q: In the documentary, you discuss the motivations of Caiaphus, Pilate and Jesus with various scholars, and speculate about why Judas would betray his friend with the Israeli author Amos Oz. Which of these characters would you want to play in a movie or play? A: Well, I played Pilate in a television version (of Ben Hur) and he was a very nasty piece of work. I think Caiaphus is very interesting because he is trying to keep together the running of the temple at the busiest time of year. He is trying to keep the law and order in the city so the Jews can get back to practicing their faith. When anyone like Jesus comes along to challenge the status quo he is going to get nervous. I think that is almost an impossible position to be in and would be fascinating to play. And I love Amos Oz’s point of view that we should thank Judas because without him we wouldn’t have Christianity. You have to understand his role, you cannot condemn him. I think that is a very interesting reassessment of Judas, that he was actually trying to help Jesus. If he hadn’t betrayed Jesus, how would Jesus have gotten to the cross? The part he played in the inevitable road to Calvary is vital.